I took this shot on a trip across the South Island a couple of years ago. The day started off overcast and raining in Christchurch but the further west we drove the better the weather became. 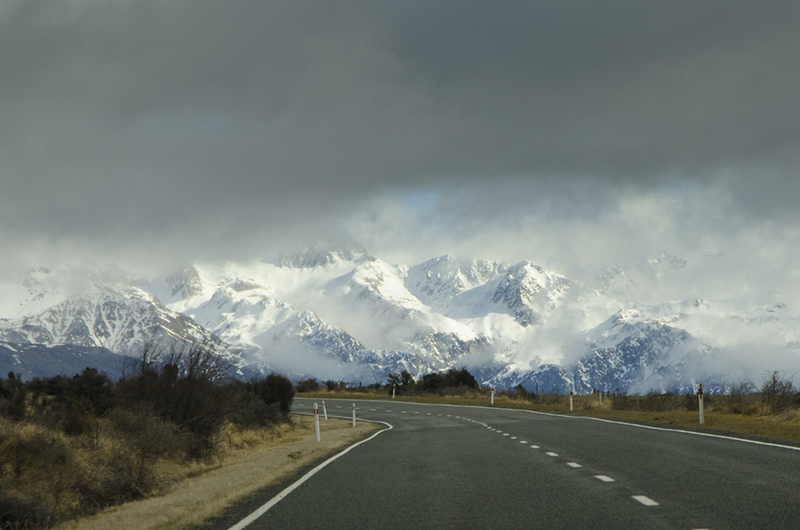 As we climbed up into the Southern Alps the sun was starting to show and the low grey cloud was clearing.